Genuine part to fit Dyson DC24 vacuum cleaners .. Complete cyclone assembly in Silver and Yellow for Dyson DC24 vacuum cleaners. .. This cyclone is a genuine spare part to fit your Dyson DC24 vacuum cleaner .. 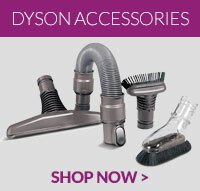 This cyclone assembly is a genuine part that will fit your Dyson DC24 vacuum cleaner .. This is a genuine spare part to fit Dyson DC24 vacuum cleaners ..